George Sowa, whose family history in Trenton dates back over 100 years, brings a successful 30+ year career in real estate development to his role as founding CEO of Greater Trenton. For the past 18 years, he was with Brandywine Realty Trust, one of the nation’s largest publicly traded, full-service, real estate companies. Most recently, he served as Brandywine’s executive vice president and senior managing director and was responsible for overseeing all aspects of the company’s New Jersey and Delaware operations and development. He has substantial experience in urban development, and in 2014 led Brandywine’s selection by Campbell Soup Company to be the developer of the Camden Gateway District — a transformative 1.5 million square foot, mixed-use project for that city. As a result, Mr. Sowa played a key role in Subaru’s selection of Camden as the site for its $118 million North American headquarters. 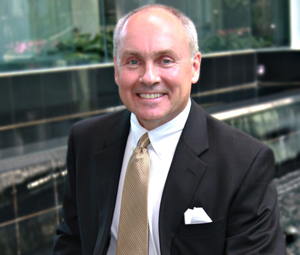 Prior to joining Brandywine, Mr. Sowa was director of development for Keating Development Company and was also director of development and operations for Linpro/LCOR. He currently serves on the National Board and Executive Committee of the Commercial Real Estate Development Association (NAIOP), and is a past President of NAIOP’s New Jersey chapter. He is also Chairman of the Board of the Chamber of Commerce of Southern New Jersey. A native to Trenton, New Jersey, Mr. Sowa holds a B.S. Degree from Cornell University.